Although often overshadowed by the escapades of her more famous husband (said by some to be the real-life inspiration for Indiana Jones), the photographs taken by Yvette Borup Andrews on their first expeditions through Central Asia stand today as a compelling contribution to early visual anthropology. Lydia Pyne looks at the story and impact of this unique body of images. 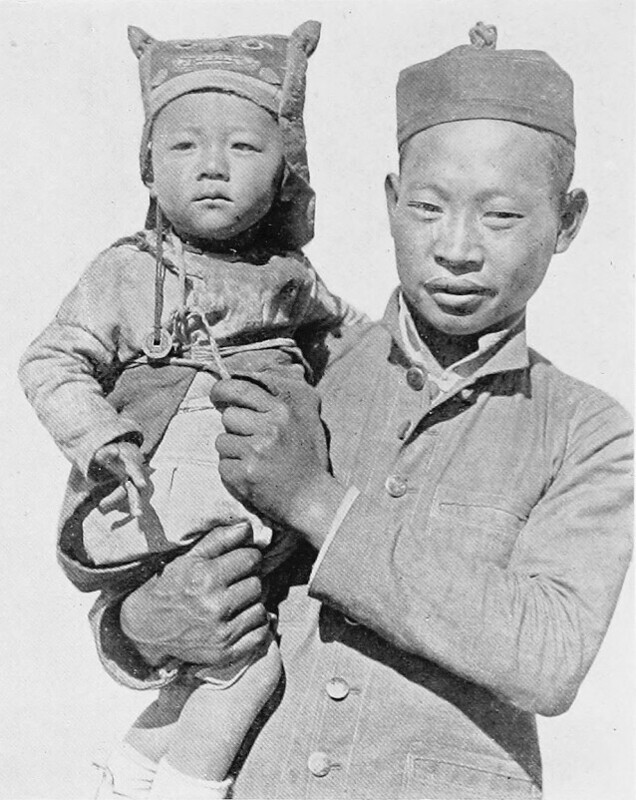 “Young China”, featured in Camps and Trails in China (1918) — Source. When reporters quizzed Yvette Borup Andrews about her honeymoon, which followed her high society marriage of 1914, the account she offered up was unusual to say the least. The “honeymoon” was in fact the American Museum of Natural History’s First Asiatic Zoological Expedition — a pioneering exploration of China, Tibet, and Burma led by Yvette, as official photographer, and her naturalist husband Roy Chapman Andrews. Yvette’s photographs from the trip and the Second Asiatic Expedition two years later — published in Camps and Trails in China and Across Mongolian Plains respectively — not only offer a fascinating glimpse into the lives of Central Asians in the early twentieth century, but also give valuable insight into the world of ethnographic photography and how the American Museum of Natural History used the medium to connect its scientific expeditions with its interested public. An American citizen born in Paris — her father was an American military attaché stationed in France and later in Berlin — Yvette grew up among the European intelligentsia and aristocracy before the outbreak of World War I. Years before the fame her Asiatic adventures would garner, Yvette would frequently make headlines back in the US due to her glamorous party lifestyle, socialising with the likes of Princess Victoria Louise, the daughter of Kaiser Wilhelm. In 1914, as Europe fell headlong into bloody war, she met and married Roy Chapman Andrews, a rising star at the American Museum of Natural History. 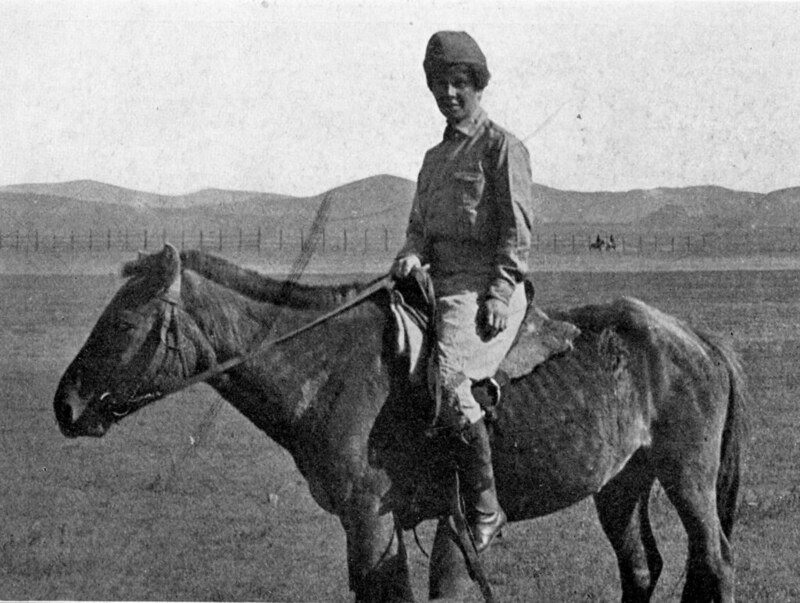 “Yvette Borup Andrews, Photographer of the Expedition”, featured in Across Mongolian Plains (1921) — Source. 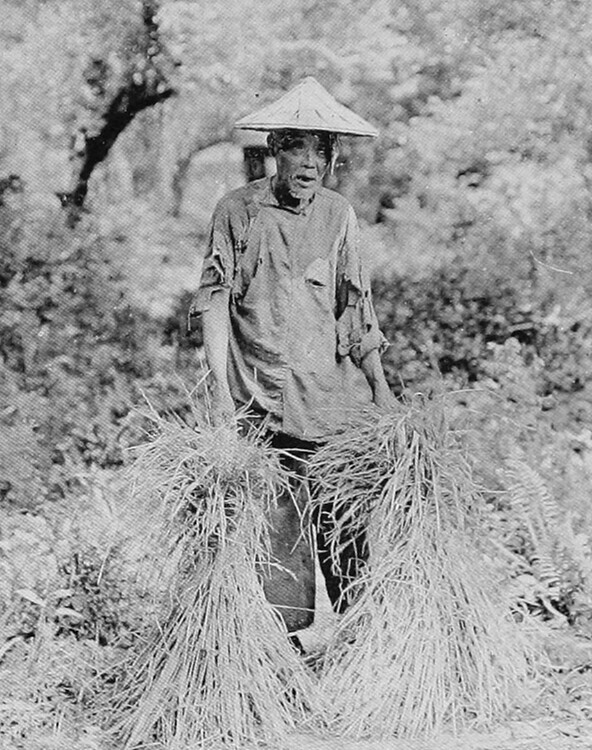 Yvette, however, did more than merely accompany her husband to Asia — she was the expedition’s photographer and amateur ethnographer. She had learned the basics of photography from her father while living in Europe, and then perfected her art through study in France, Germany, Italy, and New York. She was not only proficient in creating black-and-white prints, she was also adept at the then-relatively new color techniques like using Paget color plates; and she was also able to create motion pictures. 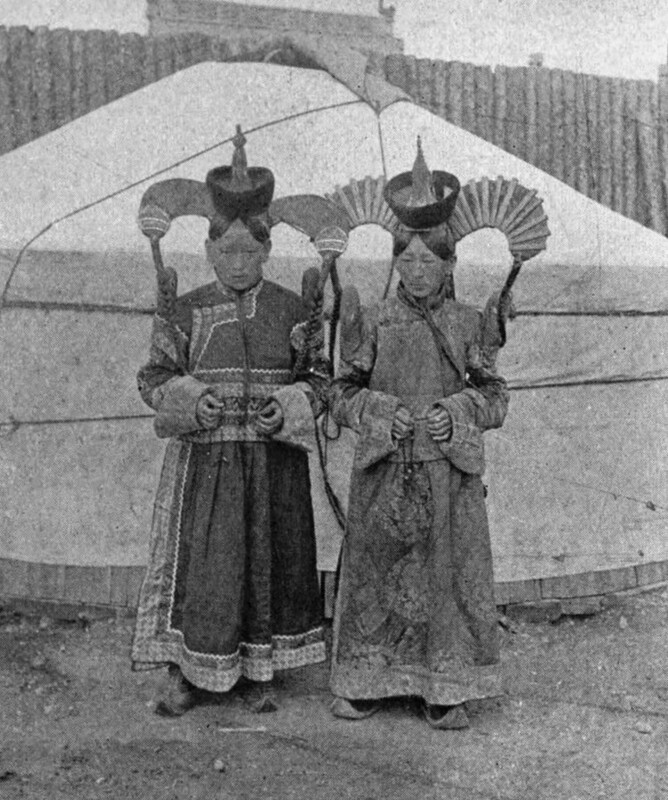 Mogol Women beside a ‘Yurt'”, featured in Across Mongolian Plains (1921) — Source. The photographs and swashbuckling tales of scientific escapades made for popular reading in the press and Yvette and Roy quickly developed a devoted paparazzi that saw them off whenever they left port in San Francisco and waited for them upon their return. On April 6, 1916, the Charlotte Observer ran a blurb about the couple with the subheading, “While Husband Is Shooting Wild Beasts With Rifle, Mrs. Chapman Andrews Will Take Her Chances With a Camera in the Interior of China and Tibet.”3 Newspaper accounts of the expeditions described in breathless detail how the couple survived wild dog attacks in Tibet and were ambushed and shot at by bandits in China. The First Asiatic Zoological Expedition was a huge success. It amassed thousands of specimens for the American Museum of Natural History’s growing collections and the thrilling stories of Yvette and Roy’s adventures published so soon after the expedition guaranteed that donors would continue to sponsor the museum’s future expeditions to the region. And so in 1918 came the Second Asiatic Zoological Expedition, and again Yvette was to be the expedition’s photographer. Focusing its interest and collecting efforts in Mongolia and North China, this second expedition, and its ensuing success, would itself in turn lay the groundwork for the American Museum of Natural History’s famous fossil-hunting expeditions to Mongolia and the Gobi in the 1920s. Central to this success of both the First and Second Asiatic Expedition was the way in which Yvette’s arresting images acted as a conduit between the distant excursions and the public back home — through her photographs the expedition felt that much more real. 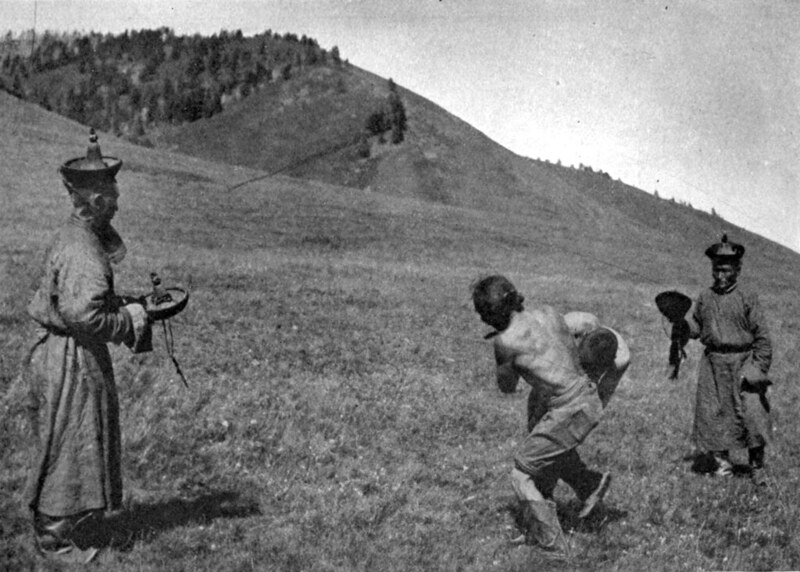 “Wrestlers at Terelche Valley Field Meet”, featured in Across Mongolian Plains (1921) — Source. 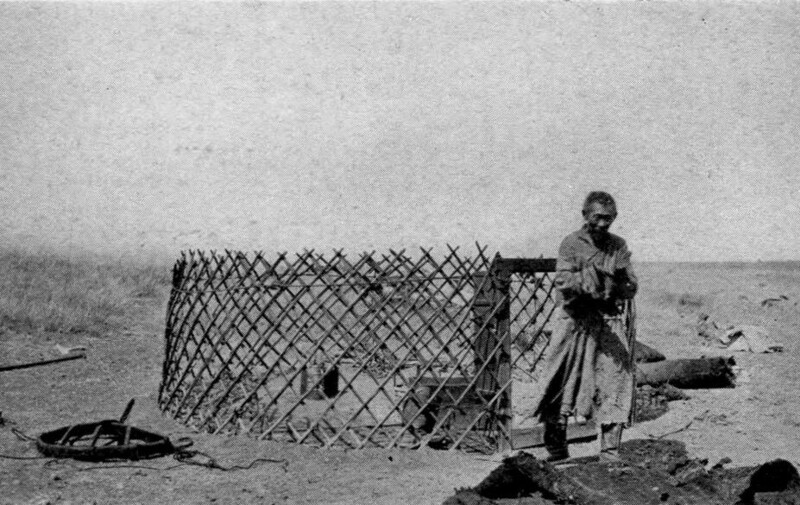 “The Framework of a ‘Yurt'”, featured in Across Mongolian Plains (1921) — Source. 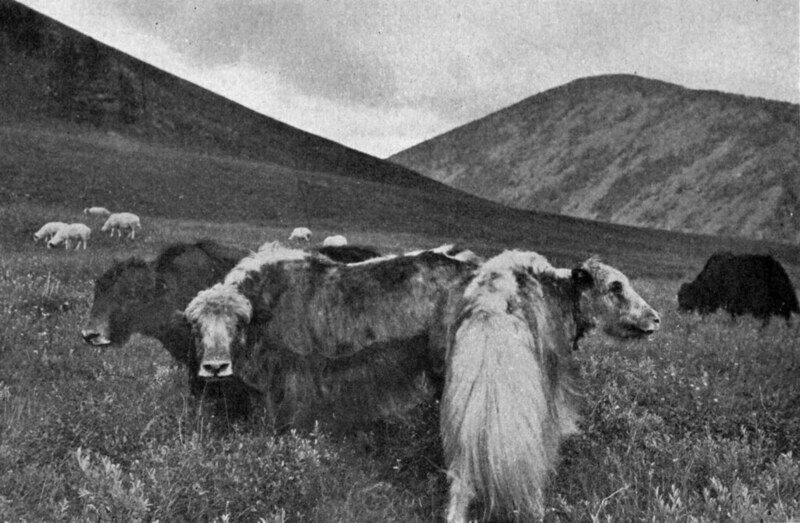 “Tibetan Yaks”, featured in Across Mongolian Plains (1921) — Source. The subjects of Yvette’s photographs from the trips to Central Asia were varied — landscapes, animals, people, and places — a broad impression that sought to show how the people lived, how they worked, and what their livelihoods depended on. Her written descriptions tended to emphasize the non-Western-ness of the indigenous communities encountered and were peppered with stories about her attempts to successfully photograph reticent subjects. In addition to depicting the camels, antelope, and vast expanse of the Central Asian steppe, her lens turned to human stories. She showed her readers what she called the cruelty of foot-binding with portraits of women who could barely balance upright on their tightly bound feet. She also captured images of the animals shot by Roy and the expedition in their quest to provide the museum with provenanced zoological specimens. In short, her photographs introduced European and American audiences to Central Asia, offering readers a chance to become acquainted with the lives, cultures, economies, and politics of peoples living very different lives on the other side of the world. “Chinese Women of the Coolie Class with Bound Feet”, featured in Camps and Trails in China (1918) — Source. 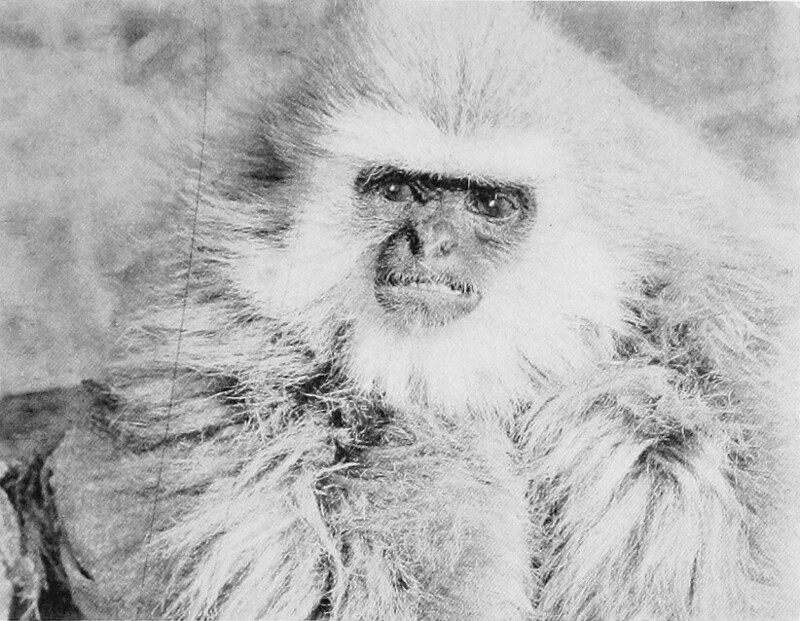 “The Head of a Gibbon Killed on the Nam-Ting River”, featured in Camps and Trails in China (1918) — Source. Her photographs also show the demands, complexities, and technologies associated with early twentieth-century field and expedition photography. The expeditions’ photographic equipment included a variety of cameras — two 3A Kodaks, a Graphic 4 x 5 tripod camera, as well as a Graflex 4 x 5 for rapid work. These were standard cameras for travel, expeditions, and scientific work; standard enough in their popularity and manufacture that, at a pinch, the expedition would most likely be able to purchase additional film or plates. Yvette opted to use plates almost exclusively for any fine-grained photographic work, although she conceded that these were much heavier and more difficult to handle than films; for the scientific detail the expeditions required, however, she considered the plates vastly superior. 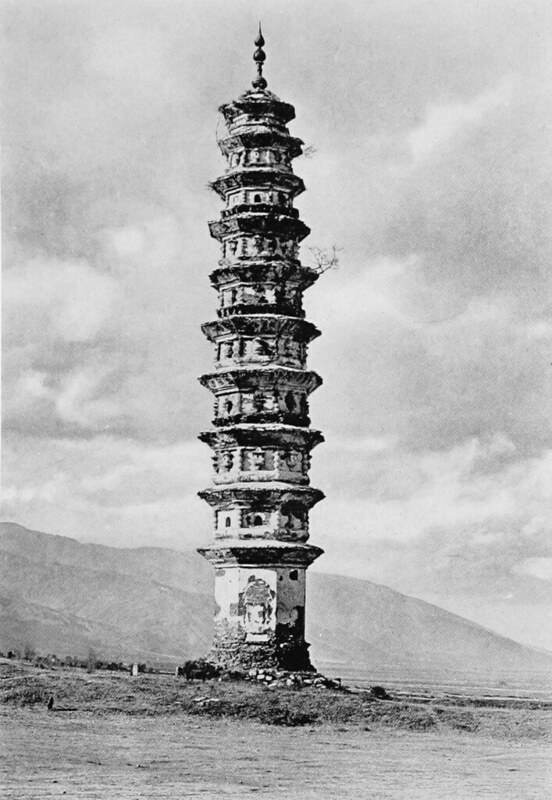 “One of the Pagodas at Ta-Li Fu”, featured in Camps and Trails in China (1918) — Source. 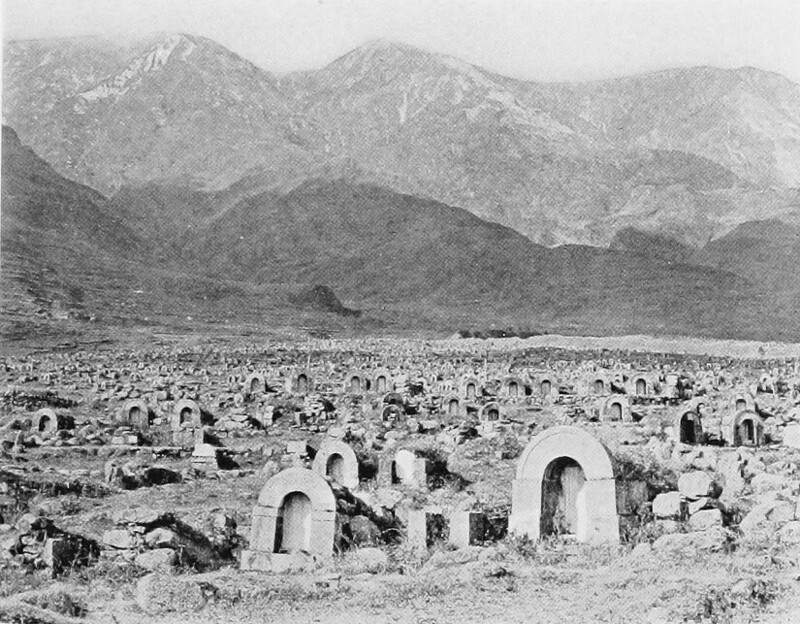 “The Dead of China”, featured in Camps and Trails in China (1918) — Source. In addition to the still photography, the expedition packed a Universal camera for motion pictures. To develop the motion picture negatives, Yvette utilized a special collapsible darkroom made of red cloth that could be attached to the inside of any tent, designed by the famed conservator Carl Akeley when he worked at the American Museum of Natural History. 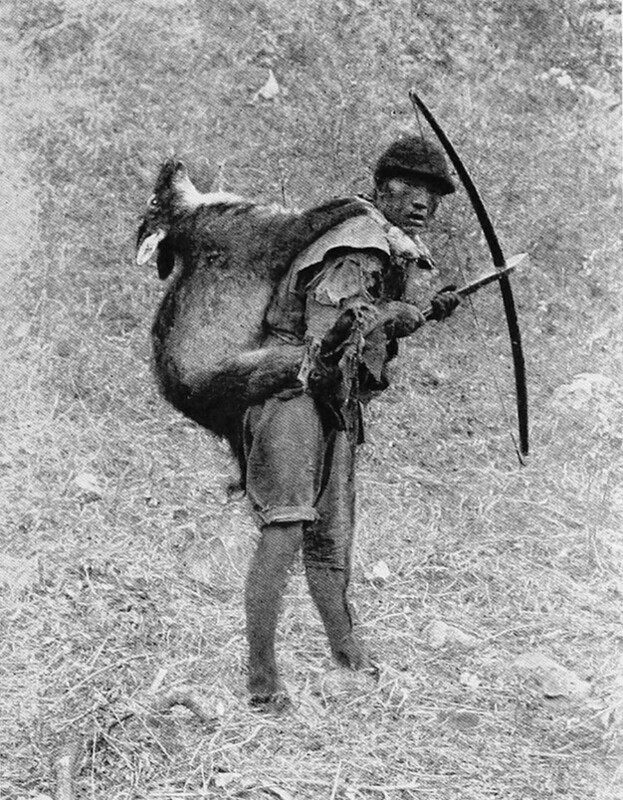 “Hotenfa, one of our Moso Hunters, Bringing in a Goral”, featured in Camps and Trails in China (1918) — Source. 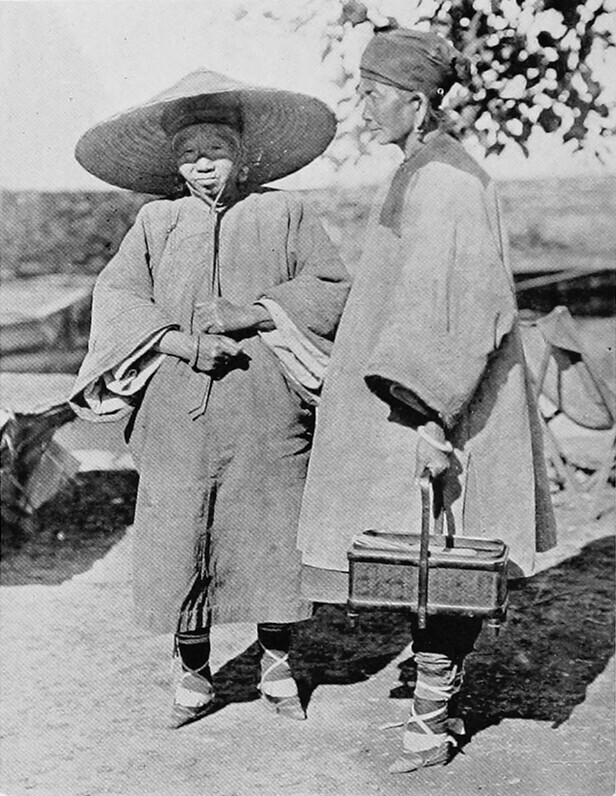 “A Priest of Ling-Suik”, featured in Camps and Trails in China (1918) — Source. The Second Zoological Expedition was Yvette’s final stint as an official expedition photographer. She traveled with her husband on the later Central Asiatic Expeditions of the 1920s, but her photography of indigenous Mongolians is merely a passing comment in Roy’s 700-page-tome, The New Conquest of Central Asia, published in 1932. However, it is worth noting that this “passing comment” refers to the images that she and James Shackelford shot on April 21, 1922, of the Maidari Festival in Urga, Mongolia — images which turned out to be of incredible historical and ethnographic significance as it was the last Maidari Festival ever enacted due to growing political issues between China and Mongolia. It’s perhaps not totally outlandish to see Yvette’s scant mention in Roy’s 1932 book as connected to the fact they’d divorced a year earlier. Today, Yvette’s work with the Asiatic Zoological Expeditions remains largely uncategorized and unrecognized — even systematically written out of some historical accounts of Roy’s life. Although her photography from the first two zoological expeditions may have become overshadowed by Shackelford’s photographs from the much more famous fossil-based Central Asiatic Expeditions of the 1920s, the images she captured offer an important frame for understanding the world of early ethnographic photography. Her unique photographs act as still-life narratives of peoples and places that captivated audiences, and stand as a testament to the oft-overlooked aspects of twentieth-century scientific exploration. Camps and Trails in China: A Narrative of Exploration, Adventure and Sport in Little-Known China (1918), by Roy Chapman Andrews and Yvette Borup Andrews. Across Mongolian Plains: A Naturalist’s Account of China’s “Great Northwest.” (1921), by Roy Chapman Andrews. Passport Application for Yvette Borup Andrews, July 1918. A journey through the tremendous discoveries and unforgettable adventures of the Central Asiatic Expeditions of 1922-1930 describes how a fossil-hunting team, led by Roy Chapman Andrews, braved raging sandstorms, murderous bandts, political intrigue, civil war, and conflicts between the United States and China as it searched for evidence of dinosaurs and other extinct creatures in the Gobi Desert. The autobiography of the explorer and archaeologist Roy Chapman Andrews. Adored by the public and pursued by the press, Andrews came as close to superstar status in the 1920s as any explorer of the twentieth century. Much of Under a Lucky Star focuses on his grandest adventure, the Central Asiatic Expeditions, a series of five daring journeys into uncharted expanses of the Gobi Desert that produced a previously unknown treasure-trove of dinosaur remains.